Sergeant Cribb: Mystery and Suspense on Television. 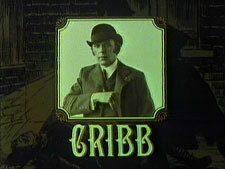 Based on a character created by crime novelist Peter Lovesey, Sergeant Cribb (original UK title: Cribb) stars Alan Dobie as the titular character, a policeman in Victorian London and a member of the city's newly formed Scotland Yard Criminal Investigation Department. Some of the 14 episodes that originally aired in the UK during 1980 and 1981 were adapted from the 8 mysteries published by the author featuring this character. 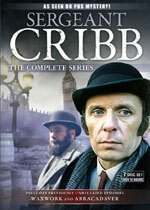 The series also stars William Simons as Constable Thackeray, Cribb's sidekick.